Recently, STS’s Measurement and Evaluation Specialist Fernanda Gándara co-authored an article with UMass Amherst’s Jennifer Randall for the Comparative Education Review. The article, “Assessing Mathematics Proficiency of Multilingual Students: The Case for Translanguaging in the Democratic Republic of the Congo” questions the current testing practices in international education when it comes to language. Many tests used in international education—especially large-scale standardized tests—tend to be monolingual in nature. Sometimes, students are provided with the option to take the test in “one language among several” or to “respond in the language of their choice,” yet this does not acknowledge that multilingual students do not behave as multiple monolinguals. And many times, even these options are “too difficult” to implement for practitioners, who are used to equating reliability and validity with standardization. As I mention in the article, the concept of translanguaging invites us to reflect differently upon language. Among other ideas, translanguaging states that multilingual students use their linguistic resources in a strategic, contextual, and flexible manner, without making distinctions between one language or the other. Accordingly, in this study we analyzed the experience of administering an Early Grade Mathematics Assessment (EGMA) using language flexibly and interactively. 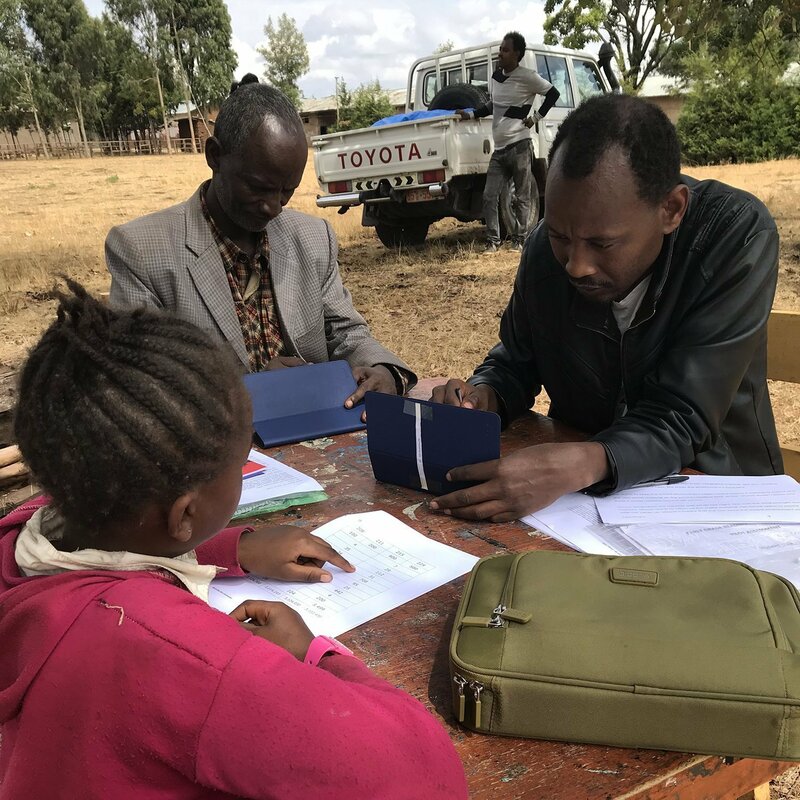 Very broadly, the translingual EGMA consisted of testing the same content as the traditional EGMA but having two enumerators interacting with the student in flexible ways and making optimal language choices based on such exchange. By all criteria, the translingual administration was more appropriate than a traditional administration. As a researcher, I take this study as an invitation to challenge our notions around language—to spark new ways of developing and administering assessments that do not restrict the opportunities nor constraint the identities of the students we are trying to help. As a practitioner, I would highlight the idea that teachers’ assessment practices are highly influenced by the textbooks we provide them. If translingual assessments have the promise to improve practice in multilingual contexts, a major policy implication would be to incorporate translingual assessments into the textbooks that they use. Learn more about Fernanda’s study and read her article in full online now.